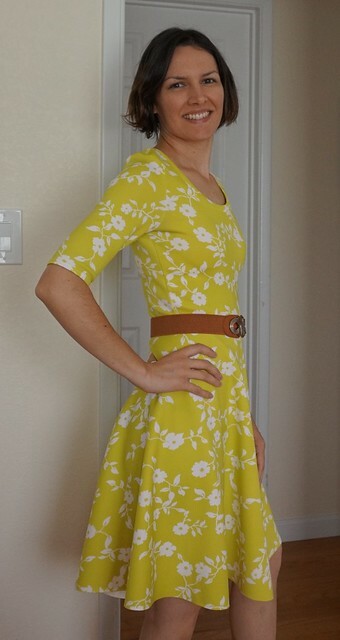 I’ve been wanting to sew a dress like this for a long time. When I saw 1 Puddle Lane was pattern testing the Miss Ruby Tuesday knit dress, I knew this was the push I needed to get off my rump! This pattern really is amazing! The options blew me away, seriously. There’s 5 sleeve options and several more neckline options. Wow! Then the skirt is conveniently broken up into 2 different circle skirt patterns depending on your fabric print. If you have a solid color or uniform print, then a center back seam is available (the one I used). 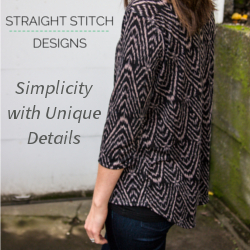 If you have a directional print, then side seams are for you! I had this fabric in my stash from Girl Charlee. Since the print is uniform, I did a center back seam, and it came together very well. I haven’t hemmed the bottom yet! You can also use a variety of knits, and the pattern is very helpful when choosing your size depending on your knit’s percentage of stretch. The above version has elbow length sleeves with a scoop neckline in a scuba knit. My knit had 50% stretch. I made an XS, and it fit very well. I also like the thickness of the scuba knit. 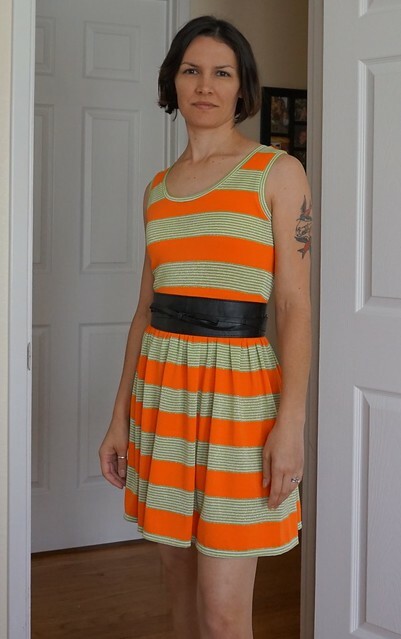 This is one of the earlier versions, so the shoulders are still a bit narrow on me. I actually ended up removing the sleeves and making it sleeveless after these pics. This pattern is very thorough in every step. There is handholding for those that are new to sewing knits. The instructions and recommendations are very clear, and the pictures are great. I was super impressed by the amount of work put into this pattern. It’s going to be one of those patterns I know I’m going to go to when I need a last minute dress. I’ve been wearing these dresses to work, and I’ve never had so many compliments from coworkers and library patrons alike! 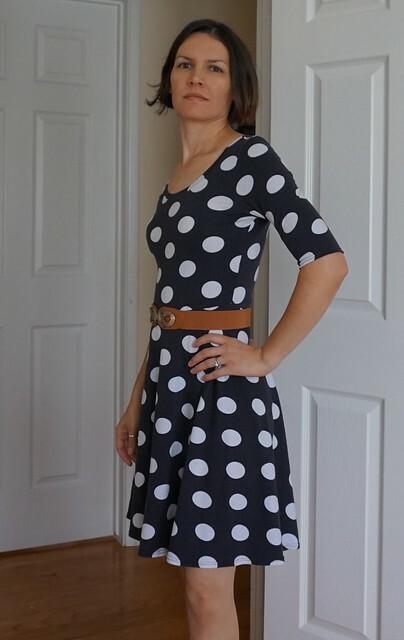 This polka dot version is the same cut as the first dress. It fits better in the shoulders with this thinner fashion jersey. It’s also super comfy! The skirt wasn’t heavy enough to pull the waistline down enough though, so I’ll probably add a 1/2″ to the bodice length if I use this type of fabric again. This knit had 75% stretch. These are so easy to make too, I mean seriously addictive. I’m definitely going to be hacking these and making them into tops (there’s a peplum top version in this pattern too). I already have two more fabrics in mind for more dresses! I love pairing them with belts (I need more belts!) too. Even without a belt, it’s really quite casual and comfy. 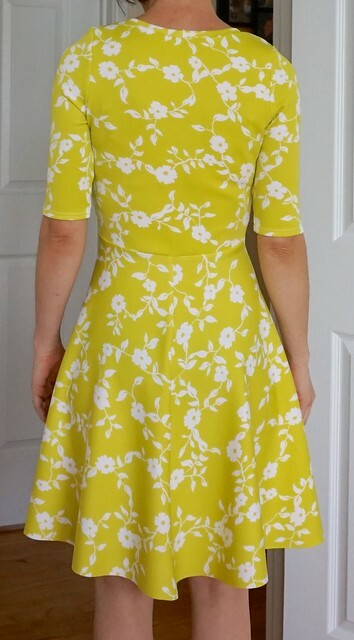 This dress was really testing the size of the top, but I loved it so much I wanted to make a dress. I only had enough fabric to make a gathered skirt instead of a 1/2 circle skirt. 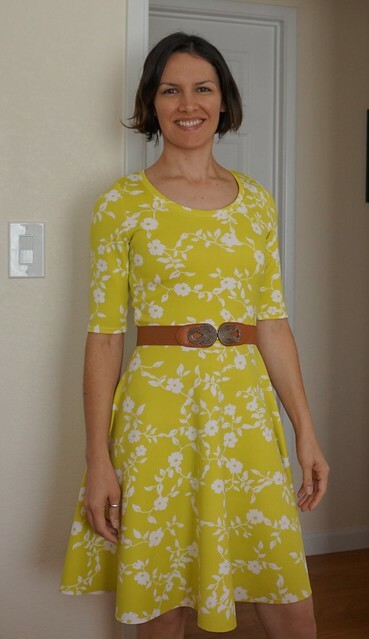 I measured my waist and doubled that for the skirt width, and the length was what I had left of the fabric. The fabric is a rayon jersey spandex with 75% stretch from Girl Charlee. After all of these wearable muslins, I can’t wait to dig into the final pattern! Anyway, I love this dress! I’m so happy to have been able to test this pattern. Who knows how long it would’ve taken me to motivate myself to do this on my own 🙂 It’s currently available for sale at the link at the top, and she even has a Facebook group you can join if you need help sewing this up! They all look amazing! 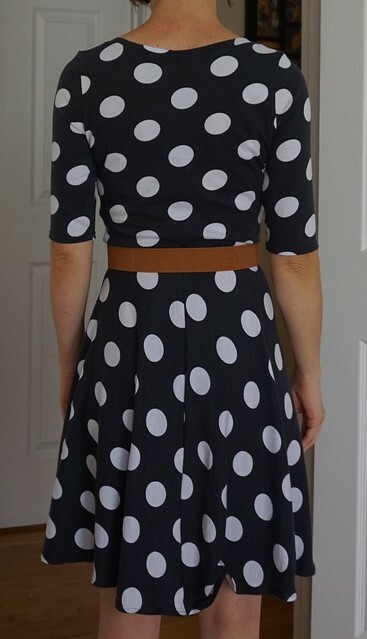 I love those polka dots too! Thank you! 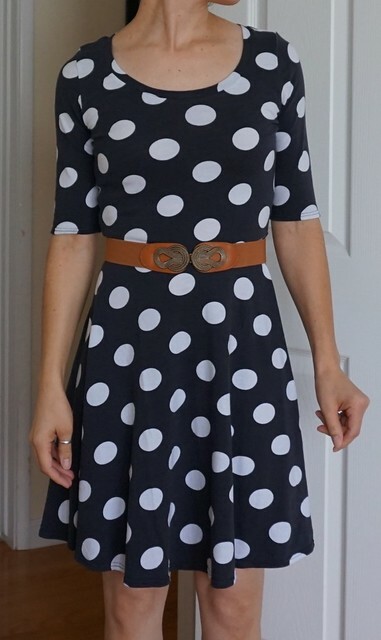 I’m partial to polka dots myself!